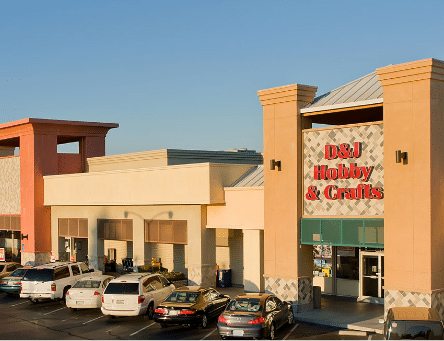 CAMPBELL, Calif. – Admiral Capital Group and Bay West Development have acquired San Tomas Plaza Shopping Center located in Campbell, CA. The 119,826 square foot property represents Admiral’s second investment in the Bay Area and its first joint venture with Bay West. The acquisition is the first investment for the newly formed Admiral Capital Real Estate Fund II. The property is located in an infill location in Silicon Valley and is only a few minutes’ drive from the headquarters of industry leading tech companies such as Apple and Netflix. The surrounding communities of Campbell, Saratoga, and Cupertino are some of the most affluent communities in the Bay Area. San Tomas totals over 9 acres in one of the strongest retail trade areas in the Bay Area. San Tomas has been owned by the same partnership since 1972, providing an attractive value-add opportunity. Admiral anticipates investing capital to reposition the asset to Class A through exterior enhancements to the façade, roofs, signage and landscaping. Admiral intends to upgrade the overall quality of the tenants by leveraging Bay West’s local network. “San Tomas is located in a highly desirable location with strong daily traffic counts. The Bay Area has seen tremendous job growth and this sub-market is under-served from a retail stand point,” said Dan Bassichis, Co-Founder of Admiral. “We continue to believe in the region’s underlying fundamentals and are looking forward to executing on our transformative vision for the property with Bay West, a partner with long-tenured success in this market,” added Bassichis. Admiral Capital Group was founded by David Robinson, philanthropist and NBA Hall of Famer, and Daniel Bassichis, formerly of Goldman Sachs. Admiral, in partnership with USAA Real Estate Company acquires value-add real estate opportunities through equity and debt investments in office, hotel, multi-family and retail properties valued between $20 million and $60 million. The Admiral founders have also pledged 10% of their profits to philanthropic causes in areas where the fund invests, building on Robinson’s lifetime commitment to support education and lower income communities. For more information, visit www.admiralcg.com. Bay West Development is the real estate development affiliate of Bay West Group founded in 1979 and based in San Francisco, California. Bay West focuses on acquiring and developing high-quality Class A mixed use and retail projects in infill locations with high barriers to entry. Bay West has approximately $500 Million in existing assets or projects in development.